Or better yet…..Where’s Moo? Take a look at the picture and see if you can find her? Did you find her?? 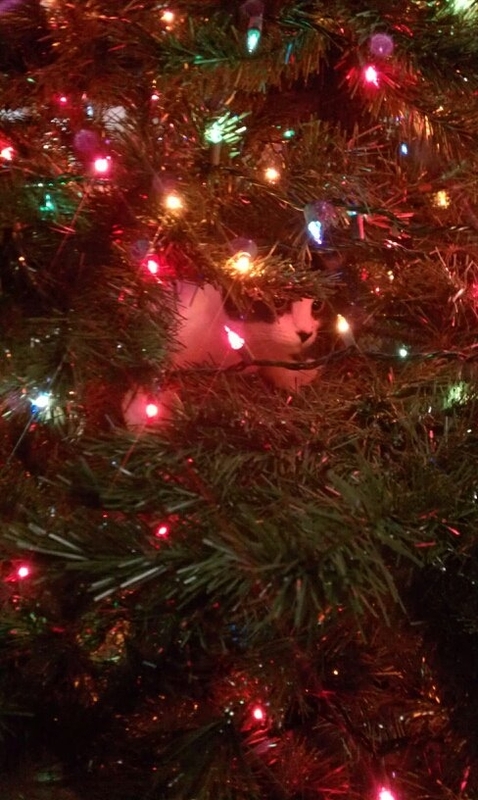 That’s not a life-like ornament folks, that’s Moo the pain-in-my-booty kitten. You know it’s the holiday season when your cat is in a tree……in the house!! I have no idea how we will keep any ornaments on our tree this year. It’s going to be quite the Griswold Christmas adventure around here, I can see it now.